Drinking is not an active sport. Why else would there be bars where people are paid (and tipped) to mix, pour and stir drinks for you? I can think of no other reason except that stirring must be hard. Luckily, for those that prefer to be by themselves when drinking alone (well, duh…) there is another option. The InStirring Self-stirring Old Fashioned Glasses come in a set of two and do all the hard work normally reserved for a bartender. 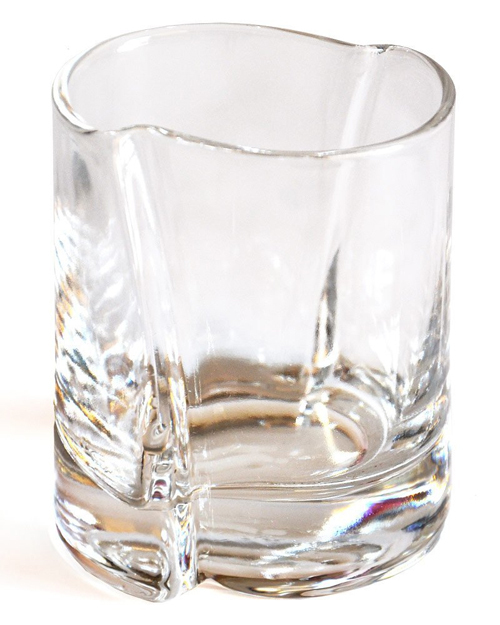 The inside of these glasses are ribbed with special protrusions or wings that act to stir the liquids inside. Pour in the booze and a mixer, give the cup a twist and the vaned interior swirls the liquids together. Then it’s just a matter of finding somebody to toast with. Also available for the hangover the next day: InStirring Cups, Coffee Mugs and Glasses .